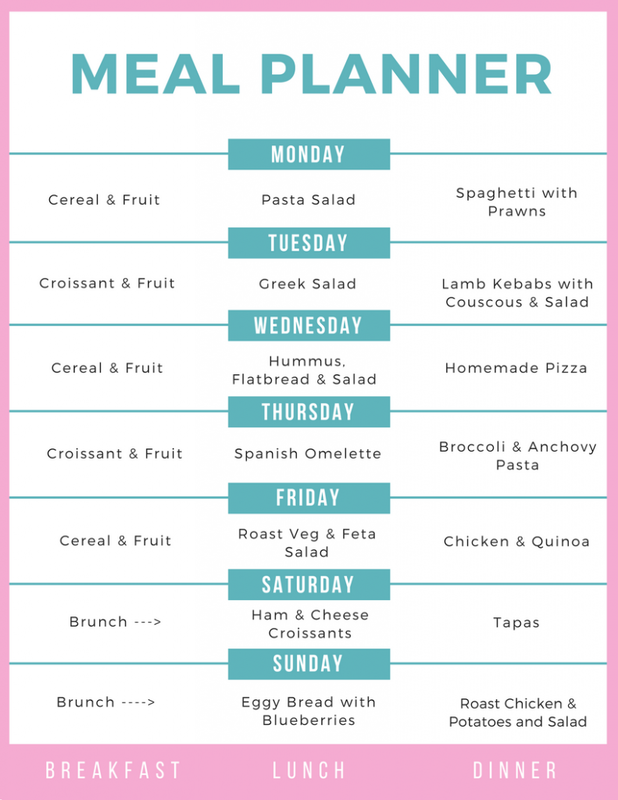 A weekly family meal plan filled with easy to make, healthy family dinner recipes. We’ve got a Mediterranean vibe going this week as we’re feeling summery! 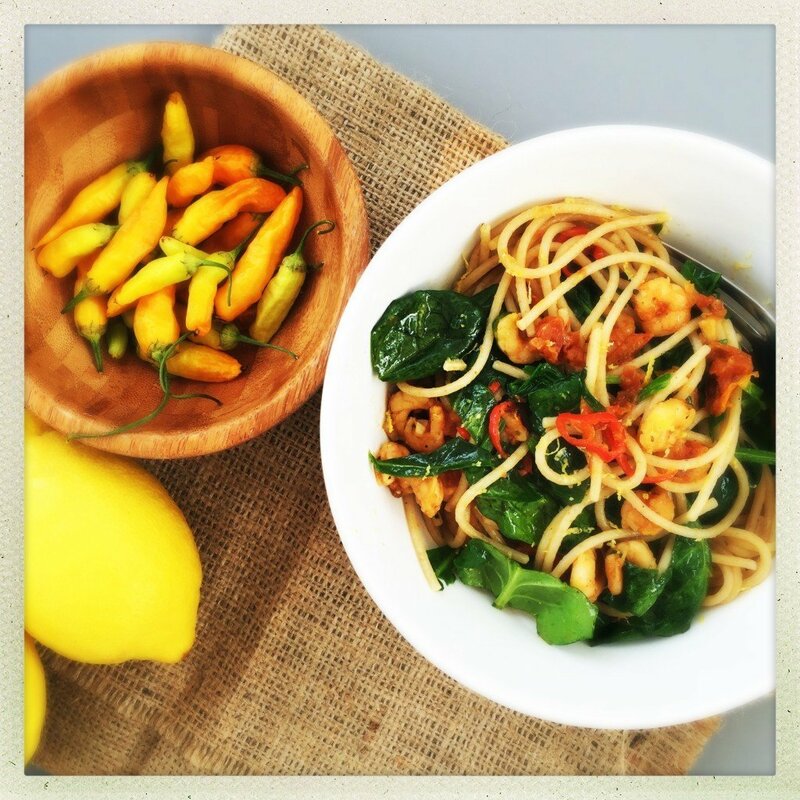 Delicious prawns with garlic, spinach and fresh chillies – so easy and quick to make – get the spaghetti and prawn recipe here. 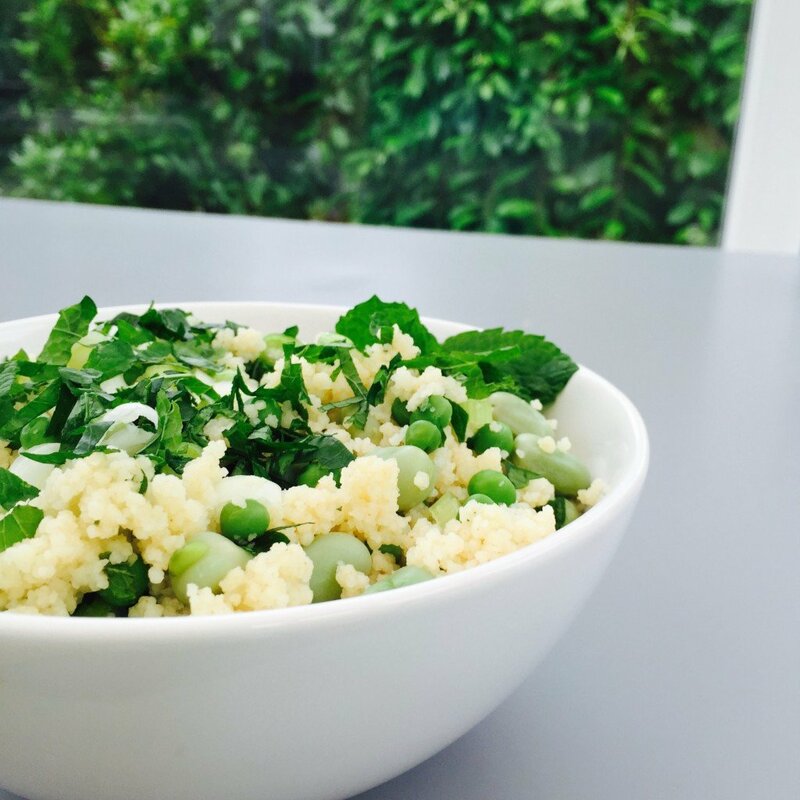 I’ll be making quick kofta kebabs and serving with lovely herby couscous and salad – get the couscous recipe here. I’ll be cooking up some delicious homemade pizzas topped with homemade pesto and new potatoes. Recipe for this will be up on the blog in the week. I’ll be making simple broccoli and anchovy pasta – it’s so quick and tasty! Recipe will be up on the blog in the week. 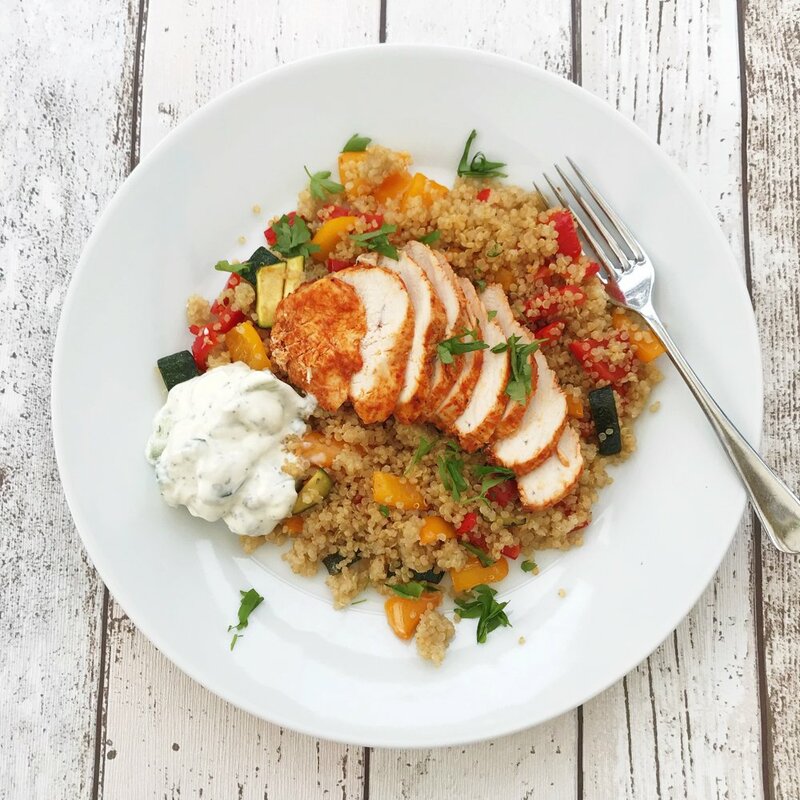 Super easy smoky chicken with veggie couscous and herby yogurt – so tasty and healthy – get the smoky chicken and veggie couscous recipe here. I’m thinking lazy tapas for Saturday night – nice bread and a few little cheat dishes of tapas from the supermarket. I’m lightening up the Sunday lunch with a garlic and herb roast chicken, served with potato salad and garden salad. Fresh, healthy and delicious! 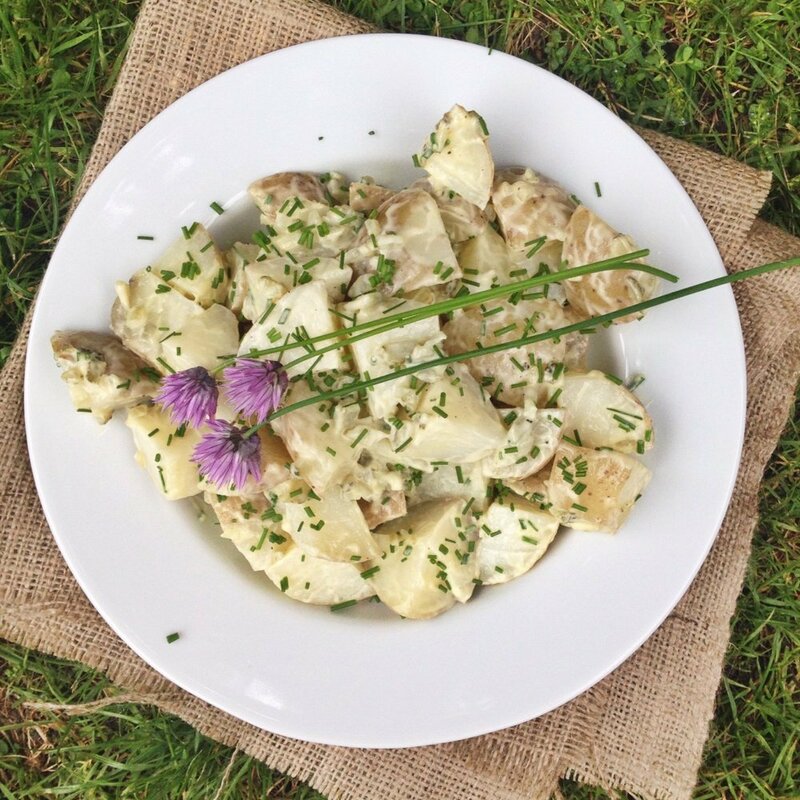 Grab the potato salad recipe here.